A Member of SCALI is like having a big family you can count on for just about anything associated with the industry. SCALI Members help each other to succeed and continues to seek avenues of enhancements to the industry as well as the individual agencies. SCALI promotes ethics, professionalism, mutual assistance among members and education. By doing this, SCALI strives to be a leader among private investigator associations around the country. Through seminars, communication with SLED Regulatory, networking and legislative monitoring, SCALI and its members strive to maintain the professional integrity needed to provide a quality product for their clients. An active SCALI member will stay informed with all of the latest law changes, techniques, gadgets and applications that continues to raise the professionalism of the industry. 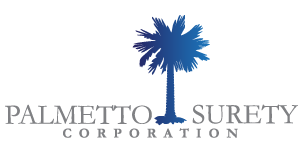 © 2017 South Carolina Association of Legal Investigators. All Rights Reserved.